BRYAN EATON/Staff photo. 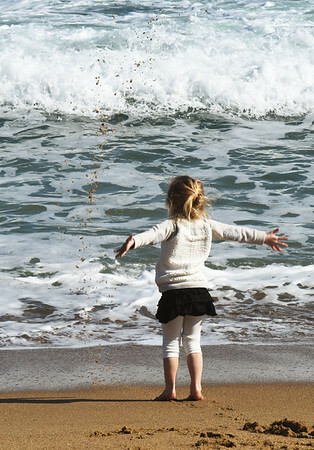 Evelyn Fennelly, 4, of Wilmington throws sand into the Atlantic Ocean at Salisbury Beach on Thursday afternoon as the temperatures went into the 60's. She and her family travel to Salisbury on occaision as they have a relative who lives in town.